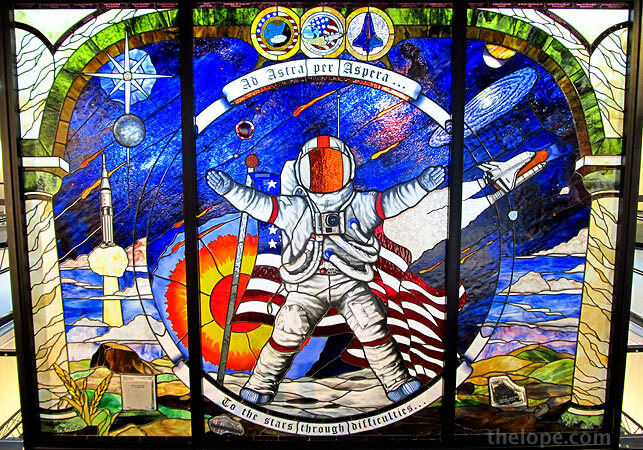 On the 25th anniversary of the loss of the Challenger and the eve of Kansas Day I can think of no more appropriate sight than a stained glass window at the Cosmosphere which is titled for our state's slogan, "Ad Astra per Aspera" ("to the stars through difficulties") and acts as a memorial to fallen astronauts. 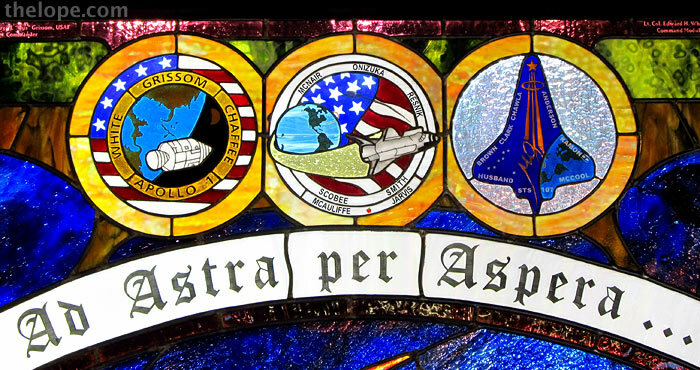 The 8' x 11' glass carries the names of astronauts lost in Apollo 1, Challenger and Columbia. 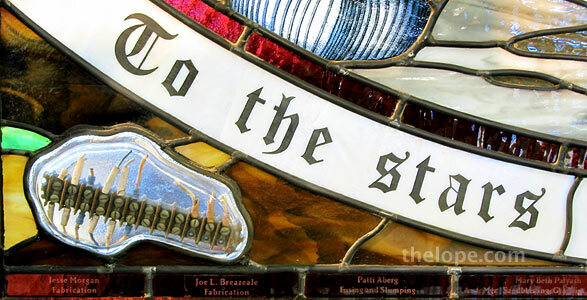 Their full names are etched along the top of the work and their last names are present as part of the glass reproduction patches. Embedded in the artwork are heat absorbing tiles from pre-tragedy missions of both shuttles and a wiring block from Pad 34 where the crew of Apollo 1 died in a fire. The Challenger tile is at bottom left. This Columbia tile is at bottom right. The Pad 34 wiring block reminds me of fossil spine or centipede in amber. 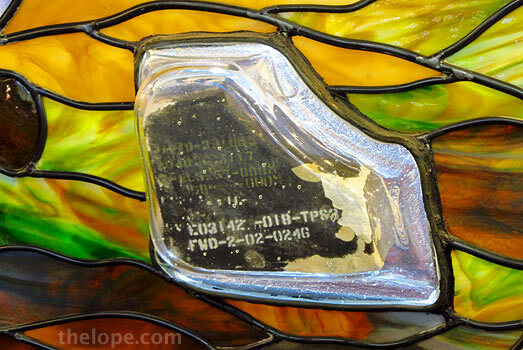 The bottom edge of the glass contains names of the 19 Kansas artists who spent about three years in the volunteer effort to create it. 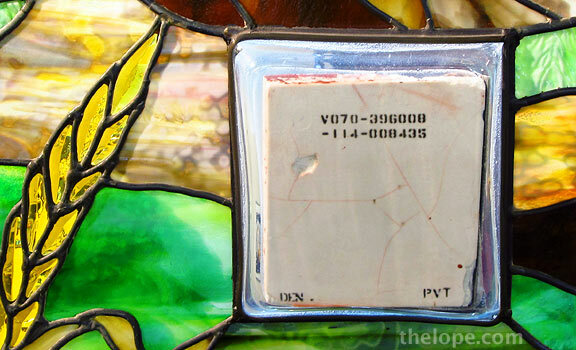 They were led by Randall Rayer of Rayer's Bearden Stained Glass in Wichita. He and his wife, Pamela, donated the work of art, which was dedicated in 2006.